Learn how planes fly with hands-on experience exploring Newton’s laws and Bernoulli’s Principal. Explore the forces of flight, and aviation engineering by designing and flying your own rubber band plane! 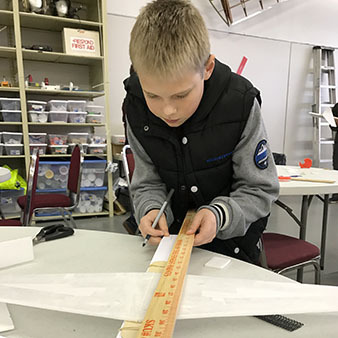 Learn about air and atmosphere in this brand new STEAM camp where campers apply their knowledge of aviation principals to create wind art and stunning mobiles. Let’s have some fun with flight! Join the millions of people who love to make things fly. 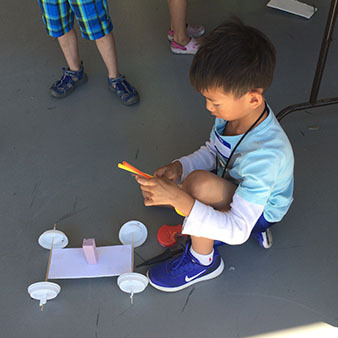 Campers learn how air, design, and weight affect how things fly. Build and design kites, hot air balloon, gliders, and rockets. This camp includes a field trip to iFly where campers will experience the fun of wind tunnels! Explore your future in aviation. Start the week with ground school 101 where you learn about the principals and practice of flight. 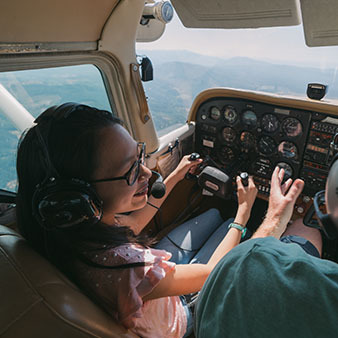 Enjoy exclusive tours of local aviation businesses and educational institutions where you can explore your own path to aviation. Cap off the week as you take a Discovery Flight with a certified flight instructor. Camp hours are 9:00 am until 3:30 pm. August 7th to August 10th, from 9:00 am to 3:30 pm. Pearson Field Education Center has a limited number of full and partial scholarships for Summer Camps. Scholarship funds are offered so that students, who otherwise could not afford to attend camps, can attend. Scholarships are awarded based on the applicants need and interest in STEM and aviation camp. First time applicants will be given consideration over those who previously received scholarships.